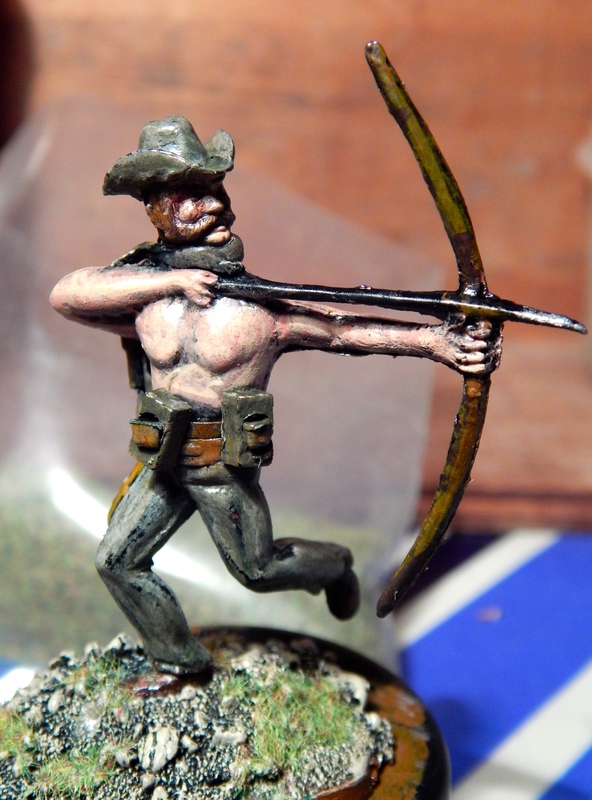 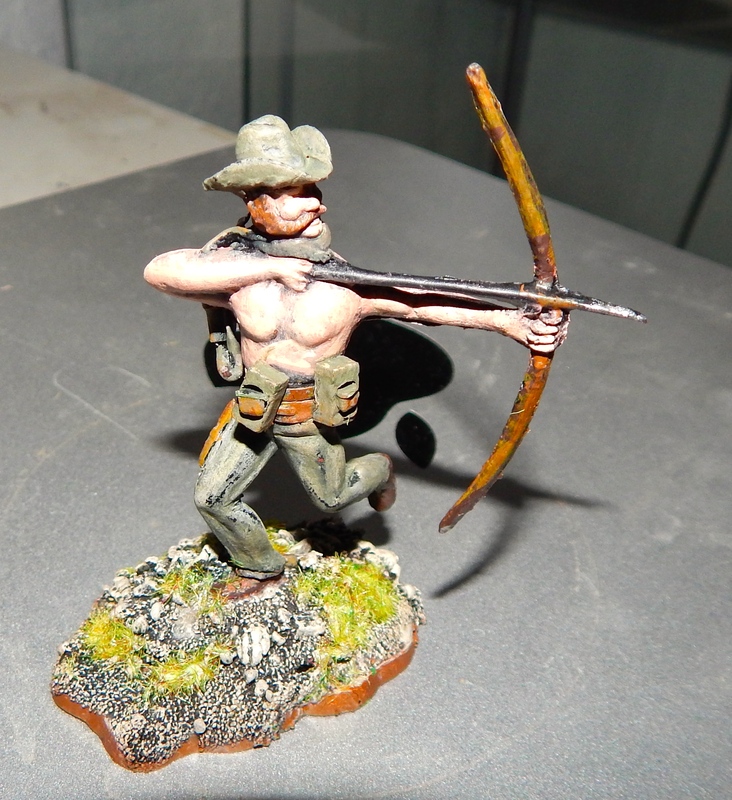 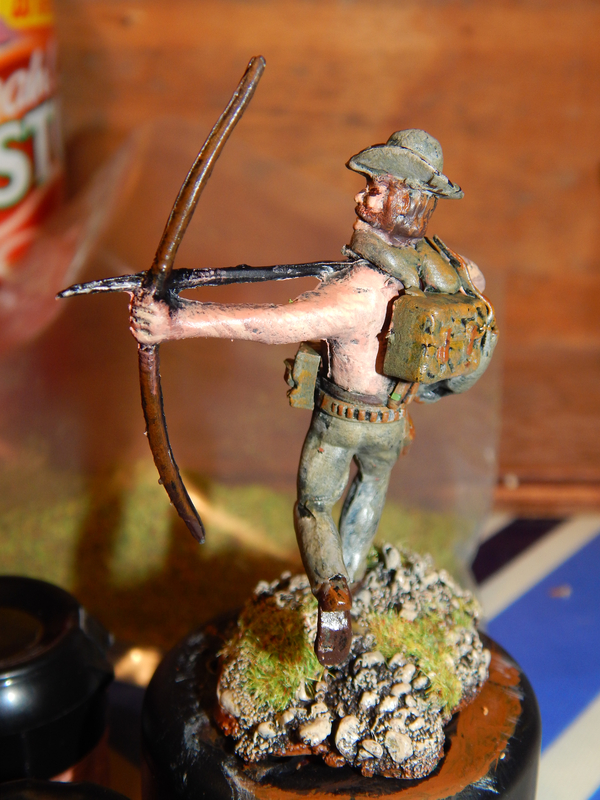 Here is my first go at a Timpo conversion using bits and pieces from various broken models and some modelling putty, flock, pva adhesive, base sand mix, a can of chaos black and some citadel acrylics. 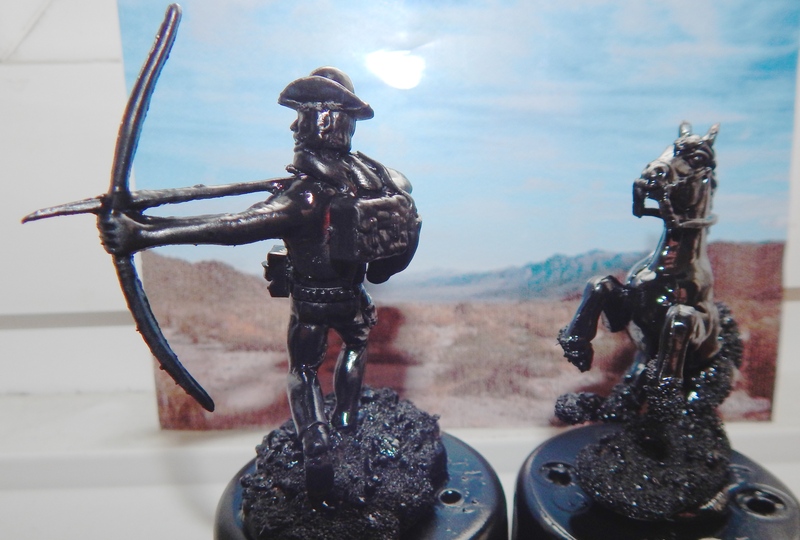 Unfortunately I didn’t think to take a picture of all the bits before they were assembled and ready for a base coat of chaos black. 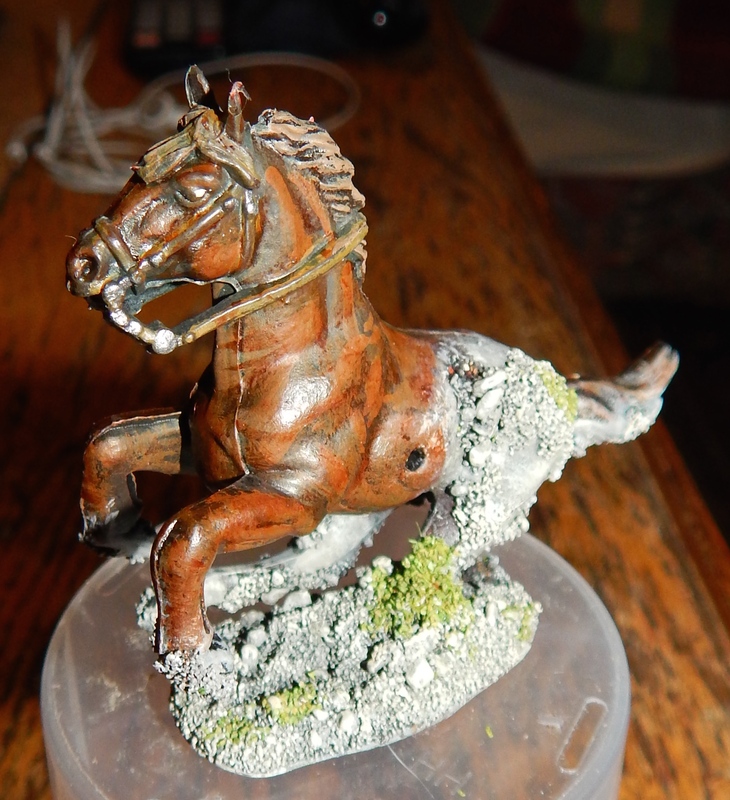 Its pretty much just a case of moulding the bits together using putty and then building the base up with pva and sand and leaving it all to dry for a couple of hours. 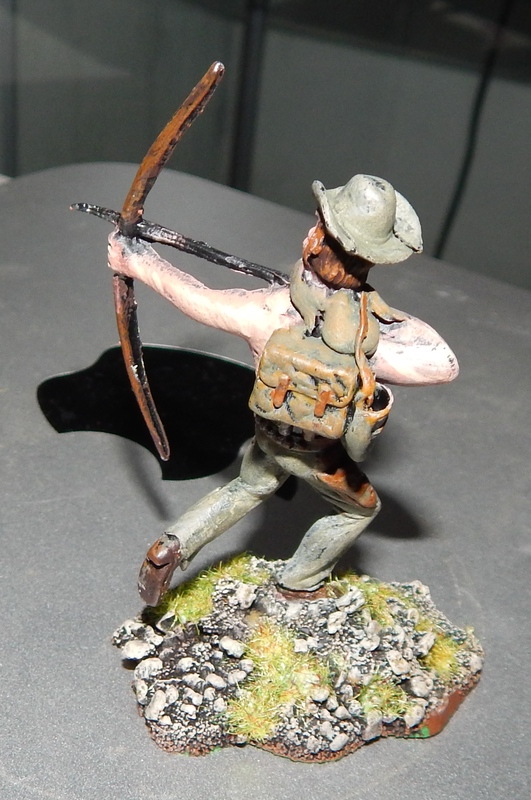 Cowboy 2nd series legs, 3rd series head, unknown make indian torso, backpack from 1st series paratrooper. 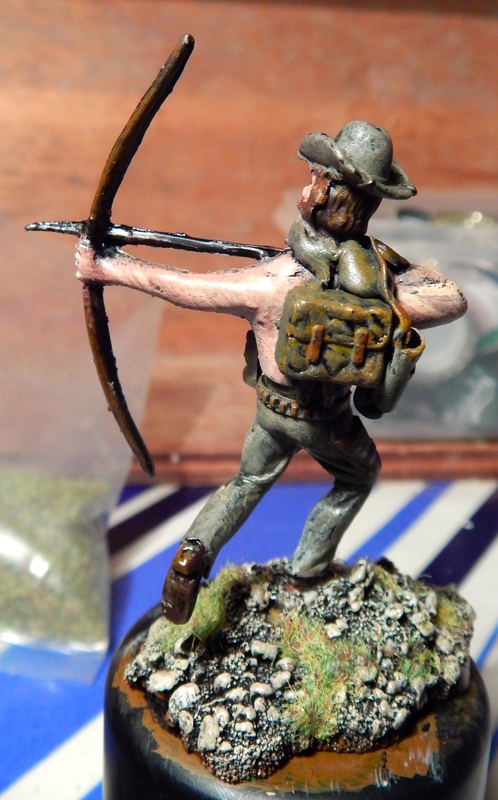 His Quiver is made from a 3rd series cowboy holster. 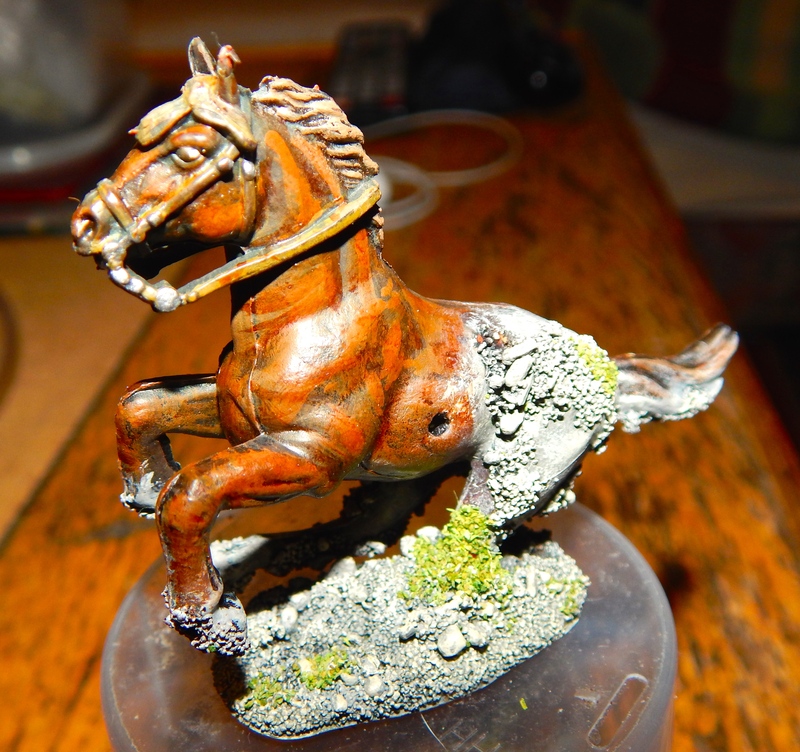 The base is a standard Timpo base built onto a 1st series Horse base. 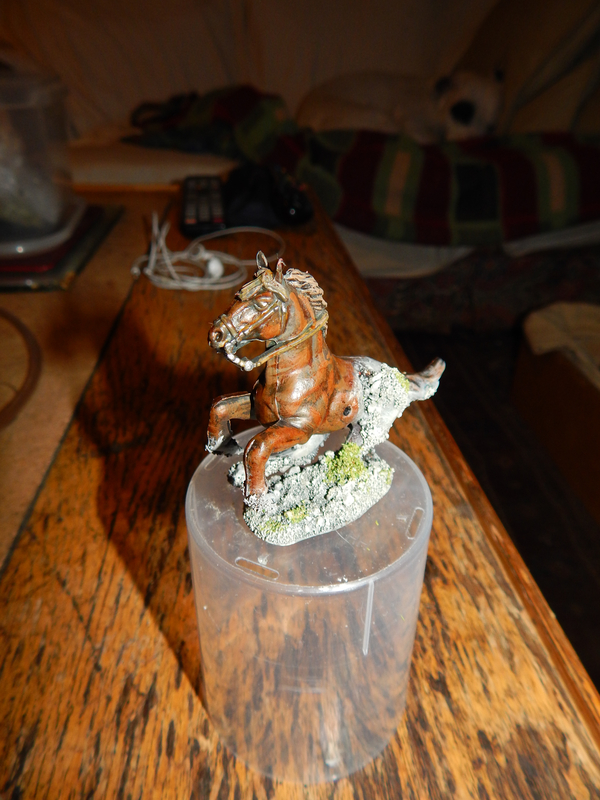 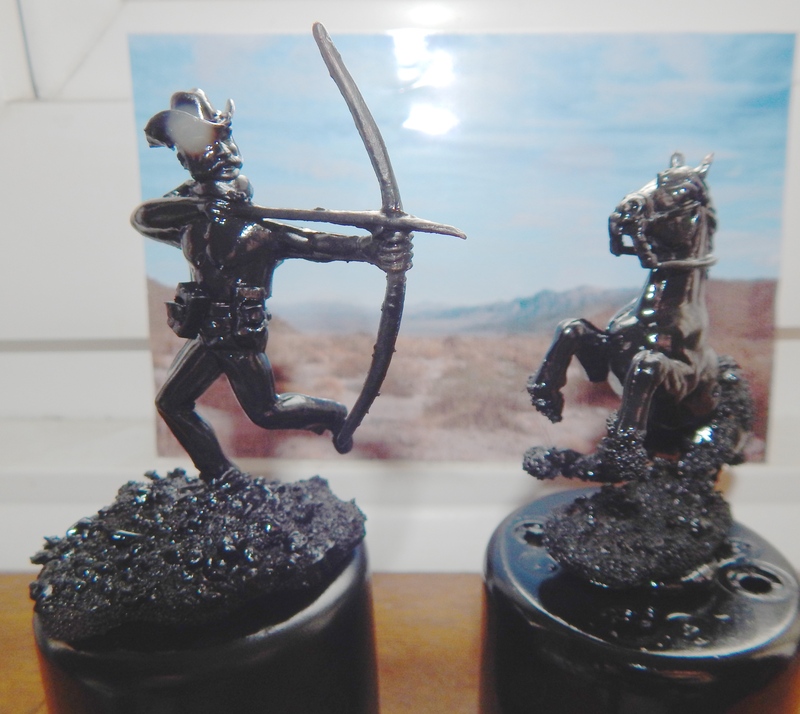 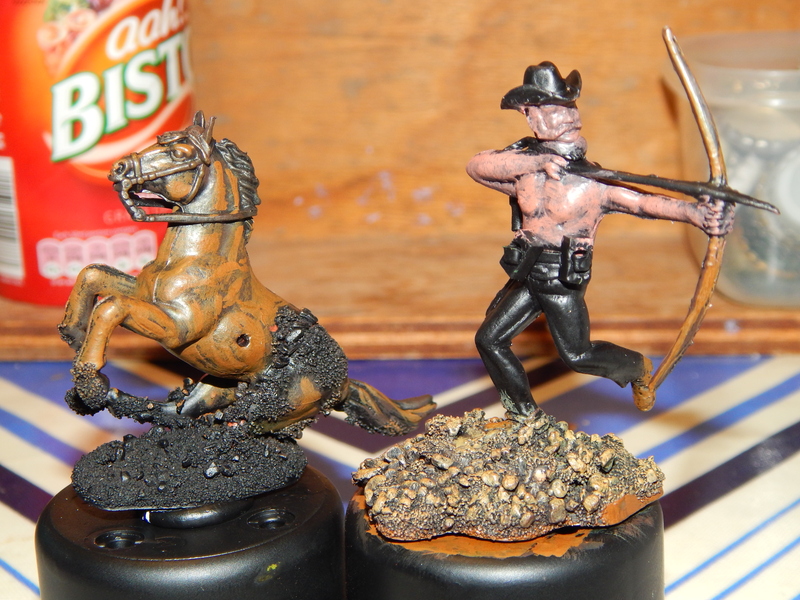 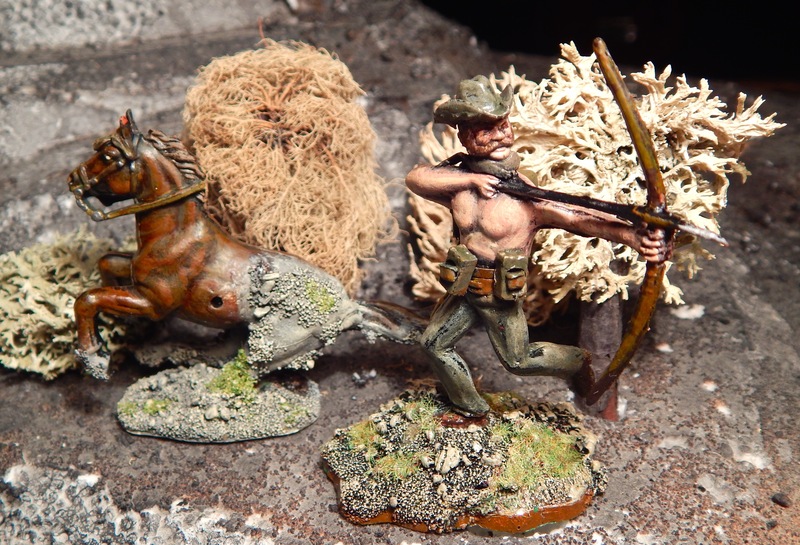 After spraying with chaos black I overbrush the horse and the torso and face of bowman.